Dealing with a cold is annoying anytime of the year. However, during the summer, when you want to be outside enjoying the beautiful weather, it is especially frustrating. Adding insult to injury, summer colds also tend to be worse than the winter variety. The reason for this, according to infectious disease experts, is that different viruses cause summer and winter colds. Winter colds are the result of rhinoviruses and summer colds are produced by enteroviruses. Along with the usual coughing and congestion of a winter cold, enteroviruses can cause a host of other nasty symptoms. These include, fever, diarrhea, sore throat, and body aches. They also tend to last for a few weeks and can reoccur. Rhinoviruses, by contrast, usually run their course in a few days. This resilient virus, according to the National Institute of Health, is present year round, but thrives in mild weather. Most infections occur between June and October. Since most people spend more time outdoors during the summer months, summer colds are less prevalent than winter ones. Nevertheless, they are spread through contact with infected people and contaminated surfaces. To help reduce your odds of getting sick, doctors recommend you wash your hands frequently and avoid touching your face. Summer vacation season has arrived and millions of people will be heading to beaches to beat the heat over the next few months. As such, it is important to remember that the ocean is a dynamic environment that can pose a number of hazards for swimmers. Chief among these are rip currents. Moving at up to 8 feet per second – which is faster than an Olympic swimmer – rip currents can easily drag unsuspecting swimmers hundreds of yards out to sea. While they will not pull anyone underwater, they can cause fatigue and panic. 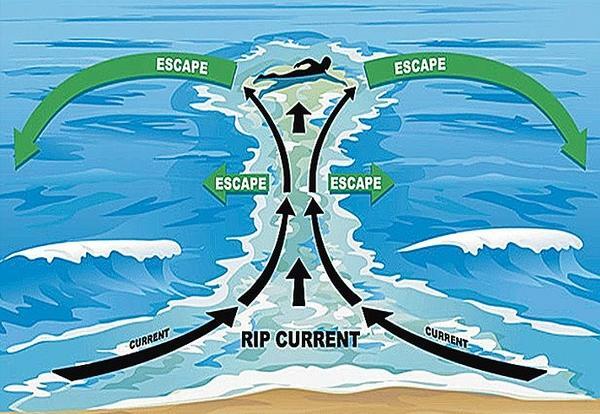 According to the U.S. Lifesaving Association, rip currents are responsible for 80% of all surf zone rescues. Nationally, they cause more than one hundred deaths every year. To spot a rip current, look for a gap in the breaking waves. This is where the water is forcing its way back out to sea. The water in this area is also usually murky and darker than the surrounding water. On guarded beaches, red flags indicate hazardous conditions for swimmers. One of the most important items on the packing list for my trip to Colorado this past week was sun-block. Averaging 300 days of sunshine per year at a mean altitude of 6,800 feet above sea level, the U.V. 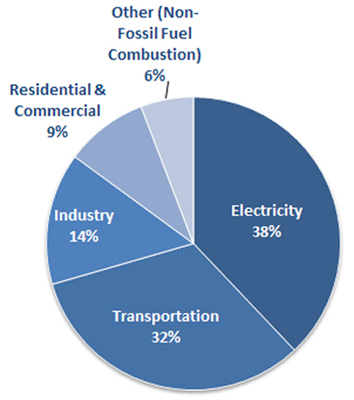 index in the Centennial state can range from high to extreme during the summer months. The U.V. index is a scale that measures the intensity of the sun’s ultraviolet radiation. Readings vary from place to place as local factors affect the amount of U.V. light that reaches the ground. These include, the thickness of the ozone layer, latitude, season, cloud cover, and elevation. 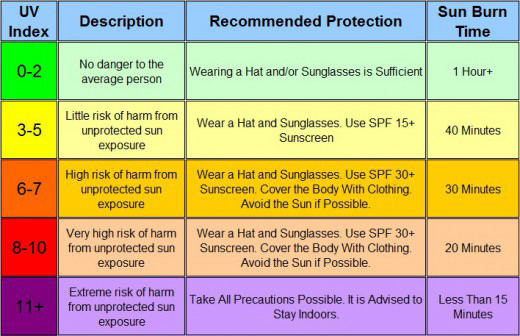 Developed by the NWS and EPA in the early 1990’s, it informs the public about the daily health risk of unprotected exposure to the sun. At high elevations, the atmosphere thins and is less able to absorb U.V. radiation. With every 1000-foot increase in height, according to the National Institutes of Health, U.V. levels increase by about 4%. So, in Denver, “the Mile High City”, U.V. radiation is about 20% stronger than a location at sea level at the same latitude. Heading up into the Rocky Mountains, where peaks can reach above 14,000 feet, the U.V. intensity soars even higher.